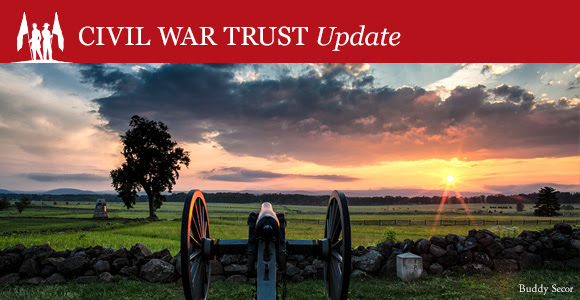 Do you want to guarantee the future of the Civil War Trust and battlefield preservation? Do you think it is important for future generations to be able to walk the battlefields as you have? Do you want to leave a meaningful legacy? If you answered yes to any of these questions you may want to consider leaving a gift to the Civil War Trust through your will or other estate plans. Over 950 of our members have done this, including myself, and I encourage you to take this meaningful step. To find out more or request free information please visit our website or contact our planned giving office legacy@civilwar.org. If you join the Honor Guard this year I will be honored to sign an 8x10 battlefield photograph and send it to you.